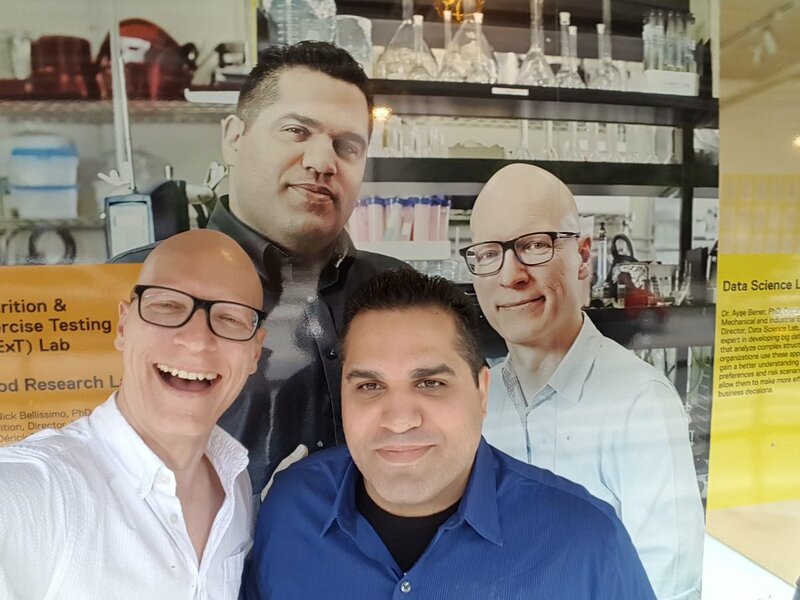 Dr. Nick Bellissimo, PhD, School of Nutrition, Director, external,NExT Lab and Dr. Dérick Rousseau, PhD, Department of Chemistry and Biology, Creator, Food Research Lab, are leading a cross-disciplinary team to explore the place where food science and nutrition intersect. Their research focuses on creating satisfying yet delicious foods that will tide us over between meals and prevent weight gain as well as novel foods that look, taste and feel better. Bellissimo and Rousseau are just two of the celebrated researchers that will be working inside Ryerson University’s new external,Centre for Urban Innovation (CUI). Opening in 2018, CUI is a state-of-the-art cross-disciplinary research facility that will bring together researchers working in urban energy, infrastructure, transportation and logistics, urban water, food and nutrition and data analysis. CUI is an example of Ryerson’s ongoing commitment to excellence in research, innovation, commercialization, and city-building.